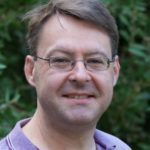 Prof Matthew England leads the Southern Ocean dynamics, circulation and water mass formation project. He is a Scientia Professor of Climate Dynamics at the University of New South Wales and a former Australian Research Council Laureate Fellow. 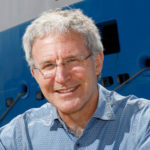 He was a founding Director of the UNSW Climate Change Research Centre (CCRC) and is currently the Deputy Director of the ARC Centre of Excellence for Climate System Science. In 2014 Prof England was elected a Fellow of the Australian Academy of Science, and in 2016 a Fellow of the American Geophysical Union. Prof England’s expertise covers the dynamics of the oceans and their role in climate variability and climate change on time-scales of seasons to millennia. Dr Ming Feng co-leads the Coupled warm pool dynamics in the Indo-Pacific project. Dr Feng Joined CSIRO in 2001. His research career has focused on climate variability in the Pacific and Indian Ocean, ocean boundary current and eddy dynamics, upper ocean processes, and biophysical coupling, using in situ observations, remote sensing information, and numerical models. He also participated in a number of research voyages in tropical Pacific, southeast Indian Ocean, and western Pacific marginal seas. Dr Feng has served on World Climate Research Programme (WCRP) Climate Variability and Predictability (CLIVAR) Indian Ocean Panel. 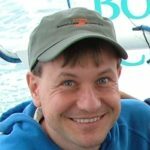 Dr Steve Rintoul leads the Southern Ocean observations and change project. Dr Rintoul is a physical oceanographer with a long-standing interest in the Southern Ocean and its role in the earth system. His research has contributed to a deeper appreciation of the influence of the Southern Ocean on regional and global climate, biogeochemical cycles and biological productivity. Born in the USA, he did his graduate studies at the MIT-WHOI Joint Program and postdoctoral work at Princeton before moving to Australia to take up a position at the CSIRO. His scientific interests include the dynamics of the Antarctic Circumpolar Current, the Southern Ocean overturning circulation, water mass formation, and the influence of Southern Ocean currents on biology and biogeochemistry. Primarily an observational oceanographer, Dr Rintoul has led 15 expeditions to the Southern, Indian and Pacific Oceans. Over the last twenty years, Dr Rintoul has co-chaired international panels responsible for each of the major climate research programs carried out in the Southern Ocean. More recently, he led the Climate of Antarctica and the Southern Ocean program of the International Polar Year and the development of international plans for a Southern Ocean Observing System. He was a Coordinating Lead Author of the Oceans chapter in the 5th Assessment Report of the Intergovernmental Panel on Climate Change (IPCC). His scientific achievements have been recognised by many national and international awards (Photo by Peter Mathew). Dr Agus Santoso is a Senior Research Associate at UNSW, an Adjunct Science Leader at CSIRO, and an associate investigator at the ARC Centre of Excellence for Climate System Science. 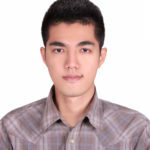 Dr Santoso is a former member of the WCRP CLIVAR Pacific Panel, and is an associate editor at the Journal of Climate. He was awarded a PhD in applied mathematics/physical oceanography in 2006 by the UNSW School of Mathematics and Statistics. His current research focuses on the dynamics of tropical climate variability such as El Nino Southern Oscillation and Indian Ocean Dipole, and co-leads the ENSO and IOD project. Dr Bernadette Sloyan leads the Indo-Pacific interbasin exchange project. She is a Chief Research Scientist with CSIRO Oceans and Atmosphere. Her scientific interests are documenting and understanding the role of ocean circulation and variability in the global climate system. 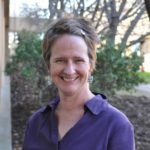 Her work is focused on key ocean processes (circulation, mixing and air-sea interactions) in the Southern, Pacific and Indian Oceans that improve our understanding of the role of the ocean in setting and moderating the earth’s climate. Dr Sloyan’s position as the Co-Chair of the international Global Ocean Ship-based Hydrographic Investigations Program (GO-SHIP) and co-chair of the Ocean Observations Physics and Climate (OOPC) panel recognise her national and international leadership in ocean climate research. Dr Susan Wijffels aims to quantify and understand the role of the ocean in climate, key aspects of the large-scale ocean circulation and global ocean change. Dr Wijffels is also recognised for her contributions to the design, implementation and exploitation of the Global Ocean Observing System (GOOS). Dr Wijffels received a BSc Hons (First Class) from the Flinders University of South Australia, in 1986, and a PhD in 1993 from the Massachusetts Institute of Technology – Woods Hole Oceanographic Institution’s Joint Program in Oceanography and Oceanographic Engineering, Boston, USA. 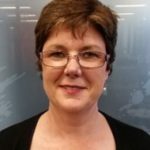 She was with the CSIRO’s Marine Laboratory from 1994, becoming a principle senior researcher, before joining WHOI in July 2017. She currently has a joint appointment with CSIRO and WHOI. Dr Wijffels’s work at WHOI will focus on her long term interests in the variability of the Indonesian Throughflow and its role in climate, the global Argo project and the evolution of its design (she is co-chair of the International Argo Steering Team), quantifying global ocean change over the past 50 years, including the anatomy and drivers of ocean warming, how changes in the earth’s hydrological cycle are expressed in largescale changes to the ocean salinity field and if and how climate models exhibit these behaviours. Dr Wijffels co-leads the Coupled warm pool dynamics in the Indo-Pacific project and is a member of the Indo-Pacific interbasin exchange project team. 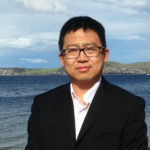 Dr Xuebin Zhang leads the Southern Ocean sea level change project. Dr Zhang is a Senior Research Scientist working at CSIRO’s Oceans and Atmosphere Business Unit in Australia. He obtained his PhD in Oceanography from the University of Washington (U.S.) and undertook his postdoctoral training at Scripps Institution of Oceanography (U.S.). In 2010, he joined CSIRO as a sea-level scientist, and has been actively working on sea-level rise, climate change and variability, ocean and climate modelling. 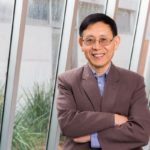 Dr Zhang has published over 30 articles in high-profile professional journals, including three in the Nature publishing group. His works on sea-level rise have established him as an outstanding mid-career expert in the field. He also gained worldwide recognition: through service on international research advisory panels, such as the Pacific Panel of the Climate Variability, Predictability and Change (CLIVAR) program; through invited and plenary talks at international conferences and workshops; by convening special sessions at several international conferences; and by granting interviews to leading news outlets like the Washington Post and Agence France Presse. Dr Zhang has secured millions of dollars in research funding and has been leading several large research projects, such as the Pacific-Australia Climate Change Science and Adaptation Planning (PACCSAP) Sea Level Project, CSIRO Ocean Downscaling Strategic Project, and the Centre for Southern Hemisphere Ocean Research (CSHOR) Sea Level Project. He is also very active in academic supervision – so far he has supervised two postdoctoral fellows, two PhD students and two honours students. 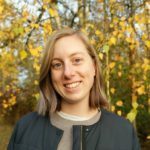 Dr Annie Foppert is a CSIRO Postdoctoral Fellow and a member of the Southern Ocean dynamics, circulation and water mass formation project team. Her research primarily focuses on the dynamics of large-scale ocean currents, with the main focus on the Antarctic Circumpolar Current (ACC). Dr Foppert seeks to understand how heat moves poleward across the ACC, what the mechanisms for that heat transport are, and how those governing processes may change in the future. She will address these questions by analysing observational data in combination with output from numerical model simulations. 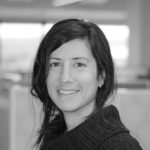 Dr Laura Herraiz-Borreguero is a Research Scientist at CSIRO and a member of the Southern Ocean observations and change project team. Dr Herraiz-Borreguero received her PhD in physical oceanography in 2009 from the University of Tasmania. Before joining CSIRO in June 2018, Dr Herraiz-Borreguero was a Marie Curie Research Fellow at the University of Southampton, UK. During this time, her research evolved from open ocean/large scale physical processes in the ocean to polar oceanography and Ice shelf-ocean interactions. 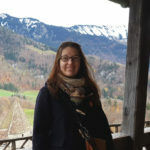 From 2014 to 2016, Dr Herraiz-Borreguero worked as a postdoctoral researcher at the Centre for Ice and Climate in Copenhagen, Denmark and from 2010 to 2013, she was a Postdoctoral Research Fellow at the Antarctic Climate and Ecosystems CRC in Hobart, Tasmania. She led several papers on the coupling of the ocean with the Amery Ice Shelf, East Antarctica. This work used a unique set of observations from boreholes drilled through the ice shelf by the Australian Antarctic Division’s AMISOR project. 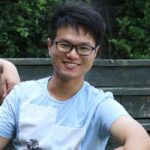 Dr Je-Yuan (Andy) Hsu is a CSIRO Postdoctoral Fellow and a member of the Coupled warm pool dynamics in the Indo-Pacific project team. 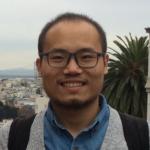 Dr Hsu received his PhD degree in the School of Oceanography in the University of Washington 2017, studying the dynamics of surface ocean boundary layer induced by the tropical cyclones by using the in-situ measurements of EM-APEX floats. His primary research interests focuses on the atmosphere-wave-ocean coupling dynamics, and field measurements on the upper ocean physics and surface waves. 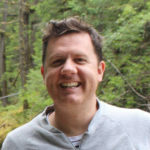 Dr Andrew Lenton is a member of the Southern Ocean dynamics, circulation and water mass formation project team. He is an ocean carbon cycle modeler in CSIRO’s Climate Science Centre, with extensive experience in modelling the carbon-cycle at different temporal and spatial scales, from individual organism responses through to the Australian Community Climate and Earth System Simulator (ACCESS). Dr Lenton also works closely with observations using them to assess models as well as to use novel observational approaches to advance our understanding of carbon processes. Specifically his current and future research goals focus on key three key impact areas: (i) Quantifying the past, present and future role of the ocean in the global carbon cycle; (ii) Exploring and understanding the impact of the carbon cycle changes on both climate and marine diversity and productivity; (iii) The potential role of geoengineering in mitigating climate change and ocean acidification. 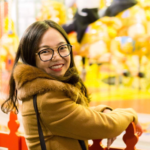 Dr Yuehua (Veronica) Li is a Research Associate at Climate Change Research Centre, UNSW and a member of the Southern Ocean sea level change project team. 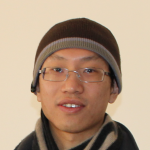 Dr Li’s research interests are analytic and numerical ocean modelling, data analysis and machine learning. She joined CCRC in July 2018 after graduating with a Ph.D. at University of New South Wales. Dr Li currently works with Prof. John Church and Prof. Trevor McDougall, on analysing historical profiles of ocean temperature and salinity profiles, mapping these profiles to a regular grid and also estimating global ocean heat content changes. 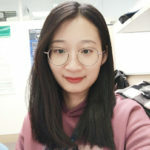 Dr Kewei Lyu joined CSIRO and CSHOR in February 2018 as a Postdoctoral Fellow. His research focuses on the Southern Ocean sea level change and the associated ocean heat uptake and redistribution. 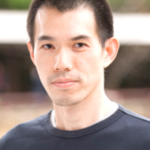 Dr Benjamin Ng is a CSIRO Postdoctoral Fellow working on the ENSO and IOD project. His main research interests include tropical climate dynamics and variability with a primary focus on the IOD. Dr Ng aims to understand how the IOD and its properties respond to greenhouse warming using coupled models and simulations. He is also interested in ENSO and the interaction between tropical basins. Dr Beatriz Peña-Molino is a member of the Indo-Pacific interbasin exchange project team. Prior to joining CSIRO she completed a PhD in Physical Oceanography from the MIT-WHOI Joint Program (USA). Her work then focused on the western North Atlantic, looking at the interaction between the deep and the upper limbs of the Meridional Overturning Circulation. 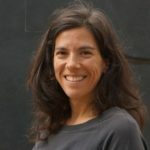 In 2011 Dr Peña-Molino came to Australia and joined the Antarctic Climate and Ecosystems Cooperative Research centre, where she worked in problems related to the dynamics of the Antarctic Circumpolar Current and its interaction with topography, formation and export of Antarctic Bottom Water, and ice shelf-ocean interactions in the Antarctic margins. As part of the Indo-Pacific Interbasin Exchange project Dr Peña-Molino is now working towards characterizing the different scales of variability in the Indonesian Througflow (ITF). Using both in situ and remote observations she hopes to contribute to our understanding of the forcing mechanisms of the ITF and how the ITF impacts climate both at the regional and global scales. When she is not thinking about the ever-changing tropical ocean, Dr. Peña-Molino also continues to explore the role of the Southern Ocean in climate as part of her work. 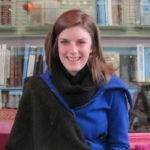 Dr Océane Richet is a CSIRO Postdoctoral Fellow and a member of the Indo-Pacific interbasin exchange project team. Her scientific interest is the study of ocean processes connected to global oceanic circulation. An example of her recent work was to study the role of internal tides on deep mixing. Dr Richet graduated in December 2017 from École polytechnique, France. The title of her thesis is, ‘Impact of ocean waves on deep waters mixing and large-scale circulation’. 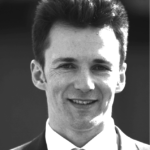 Mr Dirk Slawinski is a member of the Coupled warm pool dynamics in the Indo-Pacific project team. At present Mr Slawinski is working on several projects that involve coastal ocean and estuarine modelling, particle tracking of pelagic and benthic fauna, and benthic habitat modelling and estimation. His responsibilities range from collecting and manipulating historical physical and geographic data for model input and analysis to writing programs for data visualization and processing. A wide range to cover, but always focused on data and data ethics. Dr Veronica Tamsitt is a UNSW Postdoctoral Fellow and a member of the Southern Ocean dynamics, circulation and water mass formation project team. Her research combines ocean observations and models to better understand the three-dimensional structure of the Southern Ocean overturning circulation and its role in climate. As a member of the CSHOR team Dr Tamsitt will be working with state-of-the-art climate models and novel ocean observations to investigate different aspects of the Southern Ocean circulation. In particular, she will be using model analyses and Lagrangian particle tracking to better understand the underlying dynamics of upwelling hotspots associated with undersea topography and mapping the pathways of upwelling Circumpolar Deep Water to the Antarctic continental shelf. 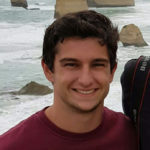 Mr Gauthier Gacoin is a PhD student from the Ecole Normale Superieure of Lyon (ENS Lyon), France. He graduated with a Bachelor Degree in physics from the ENS Lyon and completed his Master’s degree in a joint program between ENS Lyon and the University of Oslo, Norway. He is a member of the Southern Ocean observations and change project team. Mr Gacoin’s research interest focuses on the frontal structure and variability of the Antarctic Circumpolar Current. 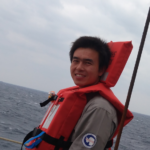 Mr Saisai Hou is a visiting PhD student from the Ocean University of China and a member of the Southern Ocean observations and change project team. His research interest focuses on impacts of polynyas on water masses in Prydz Bay. Mr Hou is sponsored by the China Scholarship Council. 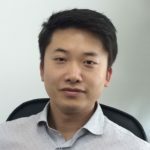 Mr Zhi Li received an MSc from the Ocean University of China in 2018. He commenced his PhD at UNSW in August of the same year. A member of the Southern Ocean dynamics, circulation and water mass formation project team, Mr Zhi’s initial work is diagnosing Subantarctic Mode Water formation and variability (and drivers) using Argo data and atmospheric reanalysis products for buoyancy fluxes. Mr Zhi is sponsored by the China Scholarship Council. 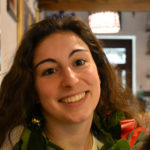 Ms Anna Maggiorano is a PhD student at the University of New South Wales, Canberra, Australia and a member of the Coupled warm pool in the Indo-Pacific project team. She received her Bachelor in physics at the University of Pisa and a Master’s degree in Physics of the Earth System from the University of Bologna, in Italy, with a focus on Physical Oceanography. Her current research is directed towards investigating the role of the diurnal cycle of sea surface temperature on the dynamics of the North Western shelf of Australia. Miss Jinping Wang is a visiting PhD student from the Ocean University of China and a member of the Southern Ocean sea level change project team. Her primary research interest focuses on quantifying internal variability and climate change signals in regional sea levels based on a suite of ocean/climate models. Miss Wang is sponsored by the China Scholarship Council. Mr Chris Gerbing is Communication Manager, CSIRO Oceans and Atmosphere. Mr Gerbing is a science communicator responsible for managing communications, marketing and public relations at CSIRO’s Oceans and Atmosphere. He has been at CSIRO for six years, before which he worked for the Victorian state government supporting agricultural industries and service providers to integrate climate change into their planning and service delivery. Mr Gerbing graduated with a Masters in Arts (Media and Communications) from Swinburne University and a Bachelor Degree in Arts (film) / Science (climate) with Honours. Mr Hugh Kater is a Business Development Manager for CSIRO’s Oceans and Atmosphere Business Unit, focusing on building science and technology collaboration between CSIRO and China. Before joining CSIRO, Mr Kater lived in China from 2011 to 2016, holding roles with Atkins Global, as the China representative for Atkins Global’s nuclear waste services division, and as the General Manager of the China Carbon Forum (CCF). His achievements at CCF include developing research services, and tripling the organisations revenue between 2012 and 2014. Mr Kater co-authored China’s first Carbon pricing survey in 2013. He conducted more than 20 high-level climate change events in Beijing; and established new cooperation with governments, consulting firms, and academic institutions. Prior to 2011, Mr Kater worked in the private sector in Australia, including in corporate environmental program management and procurement. Mr Kater holds a Masters degree in Environmental Management and is proficient in Chinese. 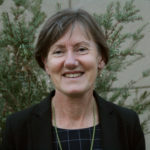 Mrs Brenda Tuckwood is a Finance and Projects Advisor with the Climate Science Centre, CSIRO Oceans and Atmosphere. Ms Leonie Wyld is CSHOR’s Project Support Officer. Matt King is a Professor of Polar Geodesy at the University of Tasmania, Australia. He works within the Surveying and Spatial Sciences group, forming a part of UTAS researchers working on solid earth geophysics, geodesy and sea-level change. In particular, his work focuses on the use of geodetic tools to solve problems related to Earth geophysics, notably sea-level change, polar ice mass balance and Earth deformation. His field of expertise is geodetic observation of the global water cycle, including ice sheet mass balance and sea level change and particularly using the Global Positioning System (GPS) and the Gravity Recovery and Climate Experiment (GRACE). He also works on numerical modelling of solid Earth processes and the reduction of systematic and random errors in geodetic techniques in order to maximise the information content in the data and improve the reliability of the interpretations. Prof King has authored more than 100 peer-reviewed publications, including several in Nature, Science and PNAS. He has received several major prizes, notably the 2015 Kavli Medal and Lecture by the Royal Society (London) and the 2018 Mawson Medal and Lecture by the Australian Academy of Sciences. He contributes to the Southern Ocean sea level change project. 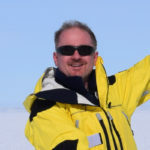 Dr Steven Phipps is an ice sheet modeller, climate system modeller and palaeoclimatologist, based within the Institute for Marine and Antarctic Studies at the University of Tasmania in Hobart. His research aims to understand past changes in Antarctica and the climate of the Southern Hemisphere, particularly during the period from the Last Glacial Maximum (around 21,000 years ago) to present. To approach this problem, he uses a combination of ice sheet models, climate system models and natural archives, such as ice cores, tree rings and corals. 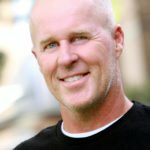 His core research interests are: past changes in the Antarctic ice sheet, including its contribution towards changes in global sea level; past climate variability and change in the Southern Hemisphere; and techniques for integrating numerical models with data from natural archives. Dr Phipps contributes to the Southern Ocean sea level change project.